The tribe have spoken! Last year, Thailands T-cup gave us all “Bakumbaa” the Bakumbaa Barbarian Invader resin figures and you guys liked them as much as we did judging by the feedback. Fast forward to 2018 and it looks like the mighty clan has given birth to the Baby Bakumbaa Barbarian Invader! CUTTTTTEEEE, as cute as the other siblings which you can check out HERE. 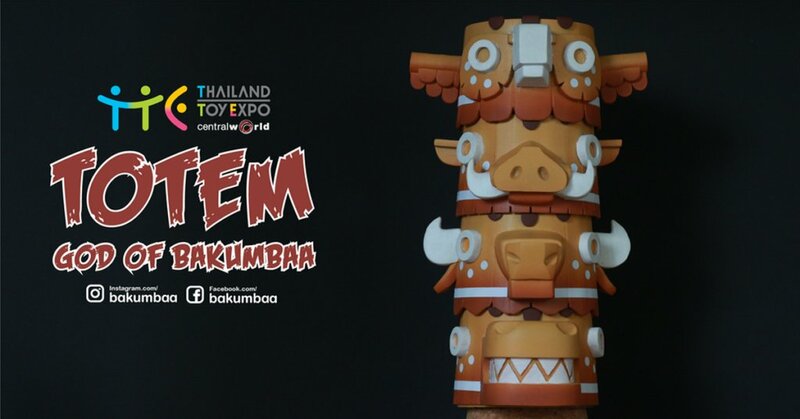 As Thailand Toy Expo day one starts T-cup informed us that TOTEM God of Bakumbaa by Danai Seneesaowaluk x T-CUP is on show at TTE and you can check out Totrm as well as Baby Bakumbaa. Nice concept for sure having 4 figures all stackable to make one epic TOTEM. Bow down to God of Bakumbaa!